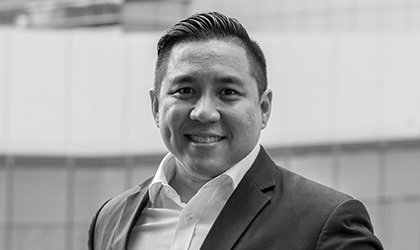 Azree brings with him over a decade of engagement experience in public policy design, strategy development, implementation, business transformation, stakeholder management and performance management. He has served clients in Malaysia and abroad in both the public and private sector across multiple industries and sectors which include government, automotive, airlines, airport management, utilities and plantations. His was previously involved in the implementation of Fighting-Corruption and Wholesale and Retail-related initiatives under Malaysia’s National Transformation Programme. Azree also led multiple engagements and projects on behalf of PEMANDU in South Asia which involved assisting several state governments in developing public policy strategies for key socio-economic sectors such as water, education, retail, governance and urban development. These engagements also involved various high-level facilitation and problem solving sessions and workshops between government, private sector stakeholders and foreign investors to ensure implementation. Prior to PEMANDU, Azree was an Engagement Manager with Ethos & Company, a boutique strategy consulting firm which has served various clients in both the public and private sector. Azree led multiple engagements and projects on behalf of PEMANDU in South Asia which involved assisting several state governments in developing public policy strategies for key socio-economic sectors such as water, education, retail, governance and urban development.